In this episode, we are going to find out why a low fat diets are killing us slowly and how polyunsaturated fats are actually making us fatter. I pretty much grew up with a low fat diet because we thought it was healthy for us. So what was the problem with a low fat diet? When our bodies are functioning normally, it is designed to burn body fat, the right type of high quality fat. Not getting too scientific, it uses short chain fatty acids that are seven or eight carbons long. When our body gets the right type of fats to burn as fuel, not only can it burn the fats easily, it can also store the fat to burn later. The right type of body fat is monounsaturated fats like olive oil and of course saturated fats like butter and coconut oil that easily break down to fatty acids that are seven or eight carbons long. However, many of us probably grew up consuming low quality fats such as vegetable oil and canola oil. We cook with polyunsaturated fats at home, and when we eat out, the restaurants also mostly cook with these unhealthy oils. We’ve talked in our last video how these bad fats kills and shuts down and kills our mitochondria inside our cells. The polyunsaturated fats gets stored in our fat tissues like a toxin and since our mitochondria cannot make energy with this form of fat, it must depend on a different energy source which is carbohydrates. When we eat too much carbohydrates through starchy meals, it spikes our insulin levels. When our insulin level spikes, it blocks the release of fat from storage. It literally locks the fat under your skin. Polyunsaturated fats and carbohydrates is essentially a double edge sword that is making you fat, making you tired and causing all sorts of oxidative stress to your body that can lead to chronic diseases in the future. The carbohydrates spike our insulin, preventing our bodies from burning our body fat. And even if you can lower your insulin to stimulate your body to try and burn body fat, it cannot because of the high concentration of polyunsaturated fats in your diet which kills the mitochondria when your cells try to burn the fat. 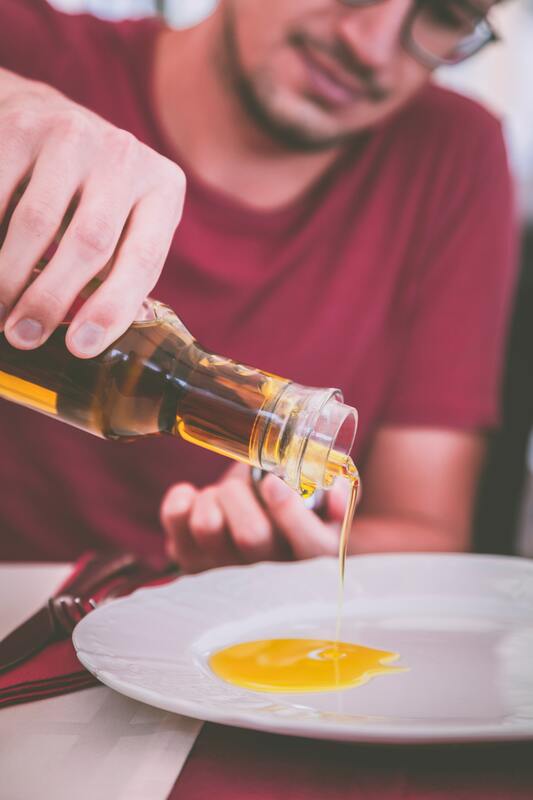 So there is one thing you should remember from everything that we’ve talked about so far, is that you should stop eating vegetable oils, soy bean oil, sunflower oil, canola oil, and other polyunsaturated oils immediately! These are typically highly processed oils and are odorless and tasteless. The best oils to use, and the oils that we use ourselves, are avocado oil, macadamia oil, butter or ghee, and coconut oil. We use olive oil in our salads and we put MCT oil in our coffees. So what’s next? Oh I love sugars. When I was 20 years old, I spent a month in Hong Kong during summer and I pretty much just ate ice cream all day long. But, I’m sure you meant that sugars aren’t good for us right? Yes and no. Not all sugars are created equal. So we’ll talk about what’s good and what’s bad, what you should avoid and what kinds of sugar we can enjoy.